Tip Tuesday! 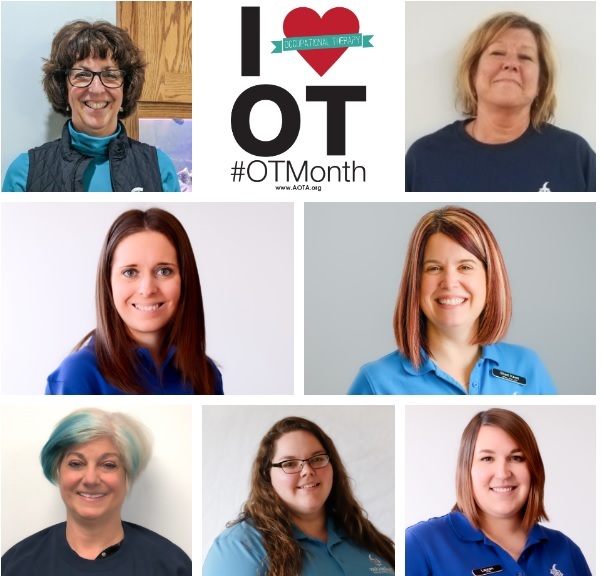 Did you know April is Occupational Therapy Month? Paramount Rehabilitation Services is proud to employ 7 occupational therapists. Paramount Rehabilitation Services offers orthopedic and neurological Occupational Therapy to help children and adults get back their functional independence while maintaining physical, cognitive, and emotional health. Occupational Therapy also addresses improving strength and reducing pain in upper extremities. At Paramount, we draw on state-of-the-art technology and highly-trained staff to offer unique, specialized treatments, including Hand Therapy. Our Certified Hand Therapists can help you avoid surgery. If surgery is necessary, then the therapist can minimize post-surgical pain and help restore function. We rely on a variety of modalities including fluidotherapy, ultrasound machine, cold laser, iontophoresis, and paraffin wax dip. By utilizing modalities, we can increase blood flow and promote tissue healing, increase flexibility of the tissues prior to stretching, and reduce pain. We also customize splints for our patients to prevent or correct deformity, protect tissues for healing, and for optimal positioning to reduce pain and pressure on joints and nerves. Race for Rescue Team Registration is Now Open! In 1997, Sunil and Manjusha Malewar started Paramount Rehabilitation Services in Bay City. The first floor of the Bay City office is a 6,100-square-foot facility, including clinical and office space. The state-of-the-art therapy gym comprises 2,000 square feet of the building. Paramount Rehabilitation provides a wide variety of specialties including physical, occupational, and speech therapy services to adults and children. Our clinical space includes an aquatic therapy room featuring an underwater treadmill with jets and video monitoring, as well as a pediatric wing for speech, sensory integration and physical therapy.